How healthy is your information? 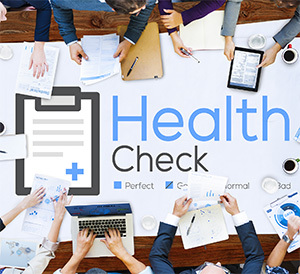 To understand your current business situation and create a plan to improve its wellbeing, a health check is a common resource. However, while financial, IT and human resources health checks are common practice, that leaves one of only four assets your business has neglected - information. We live in an age when data is more widely available than ever before, though it’s still treated like a triviality. When a business mismanages information resources, it is not operating at full productivity, resulting in lost investments, reduced operating speed, wasted wages and even legal liabilities. Meanwhile, using suitable information in the right ways can drive every other resource of your business. After all, the right information can help businesses make decisions that impact finances, human resources and the effectiveness of physical assets. A health check that evaluates your company’s current use of information and creates a plan to improve data management will put a business in a better position to develop their enterprise over both the short and long term. What’s involved in a health check? Records and document management – Making sure sensitive information is secure and accessible at the same time. Email management – Best practices and systems for increasing email productivity and security. Content management – Organising the content you produce to ensure it’s easy to find, share and use. ICT technical architecture – Auditing IT resources to boost productivity and best practices around using them. Information asset management – Creating a business governance plan to manage information as one of your key resources. Many organisations find they are collecting more data than ever before, though that means the key information is getting harder to find and utilise. With minimal disruption, we perform a thorough review of how your business stores, accesses and manages information. By analysing current practices against your core business drivers and goals, we can see which resources should be aligned with which parts of the business, and then recommend changes. We then form a comprehensive report on how your business is tracking against new benchmarks, so you can begin to see the difference. When you consider that not every business yet understands the true value of their information assets, improving your business governance around information has the potential to set you above the competition. To find out more, contact EM today.